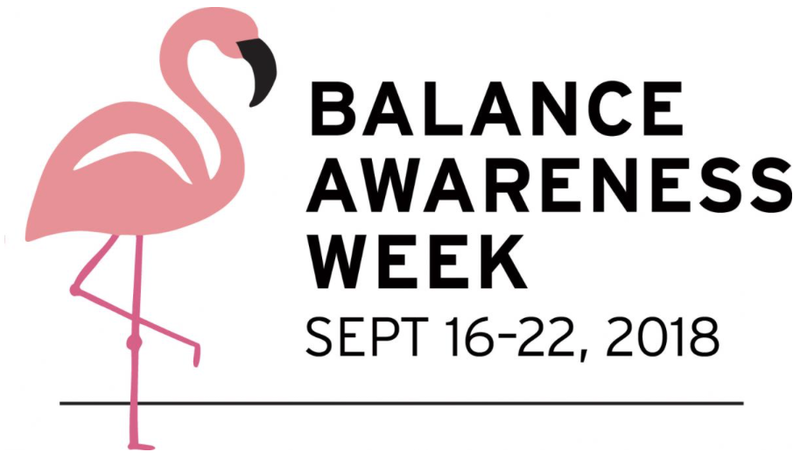 'Balance Awareness Week' Starts Today! If you are reading this message, then you know someone with a balance disorder. There are over 69 million Americans who suffer from the mostly invisible and frequently debilitating symptoms of chronic imbalance and vestibular disorders, in my case, Meniere's Disease and Bilateral Hydrops. For those living with a vestibular condition, everyday life becomes a progressively challenging obstacle course to navigate. Dizziness, vertigo, nausea, tinnitus, hyperacusis...you name it. For this reason, Vestibular Disorders Association (VeDA) pioneered Balance Awareness Week (BAW) in 1997: to be an opportunity each year to come together and shine a light on these otherwise invisible balance disorders. If we’re all more aware, then we can better understand and be empathetic to those who need our support the most—our family, friends, co-workers, and neighbors. My painting 'Balance Warrior' is the centerpiece of this year's Balance Awareness Week campaign for VeDA It is featured on their poster and other items that are already available on their website. The cool part is that 100% of the proceeds of the sales will go to supporting this wonderful organization. I hold VeDA dear to my heart because of the wonderful work they do for patients like me suffering from vestibular disorders. They are also an excellent source of education–– they have great videos, webinars, articles, and online support groups. 'Balance Warrior' is a small mixed-media painting I created during a month when I was experiencing severe vertigo episodes almost every single day. I had to lay down for the most part of the day, so it was very difficult to paint, or just to stay awake / function. Unfortunately, my progress is not linear as I frequently experience relapses with vestibular symptoms such as nausea, dizziness, ear pain and pressure as well as fluctuating hearing loss. (Yes, vestibular patients FAKE being OK very well). This is why I choose to talk about this topic, even if I sound like a broken record. Many of these vestibular disorders don't have an actual cure yet, just management through medicines and rest, which is not enough. The painting 'Balance Warrior' serves as a reminder that vestibular conditions are REAL! Please take a moment to learn about VeDA. Support this cause by donating to the organization, purchasing 'Balance Week Awareness' items or just by sharing this information as someone might need it. About VeDA: VeDA is the leading international organization people turn to for help with vestibular (inner ear and brain) disorders. They are an authoritative resource, publishing information that is clear, reliable, and scientifically objective. VeDA supports people with vestibular disorders by connecting them to health care specialists and support networks. VeDA promotes awareness for vestibular disorders through testimony and advocacy. Artist Nicolle Cure in her studio. Representation of a vertigo episode by photographer Victoria Machin.